Skye Gravestones | John & Kathleen (Bingham) Gilbert. John & Kathleen (Bingham) Gilbert. 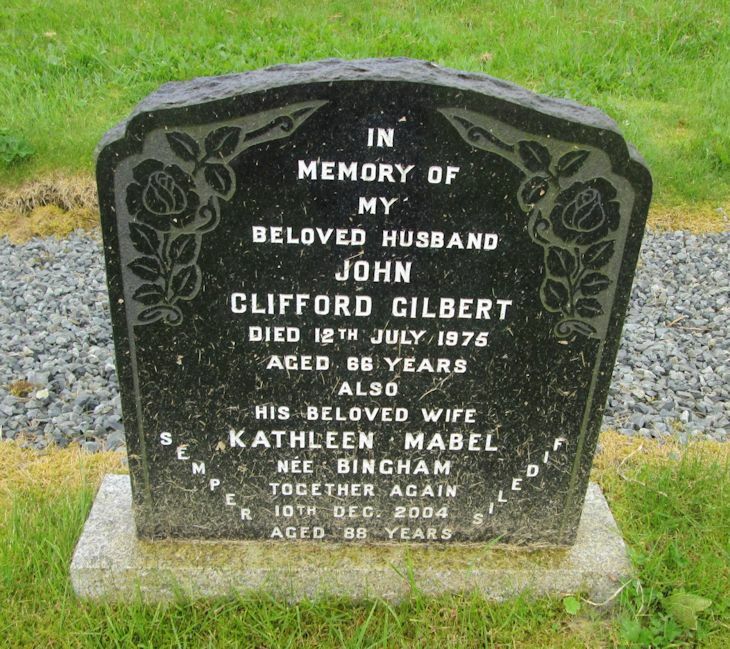 In/memory of/my/beloved husband/JOHN/CLIFFORD GILBERT/died 12th July 1975/aged 66 years/also/his wife/KATHLEEN MABEL/née BINGHAM/Together again/10th Dec. 2004/aged 88 years. Picture Added on 25 July 2014.